Here we are... the last summer share of the 2016 growing season! We can't believe it is here but are so glad to have reached this milestone. Thank you all for joining us - we couldn't be doing this without your support. Thanks to all who came out to our fall farm party last night. It was an evening full of love and good food. We couldn't think of a better end to the growing season! Please take a few moments to complete the survey that was sent out in your e-mail. We will use the results to help us to have an even better season next year. If you have joined for the fall share, you will be receiving an e-mail about the share this week. 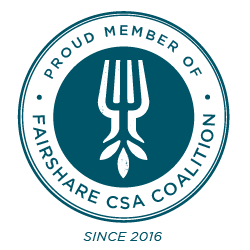 The first fall share will be delivered next Tuesday, the 25th. Thank you, and enjoy the fall colors!